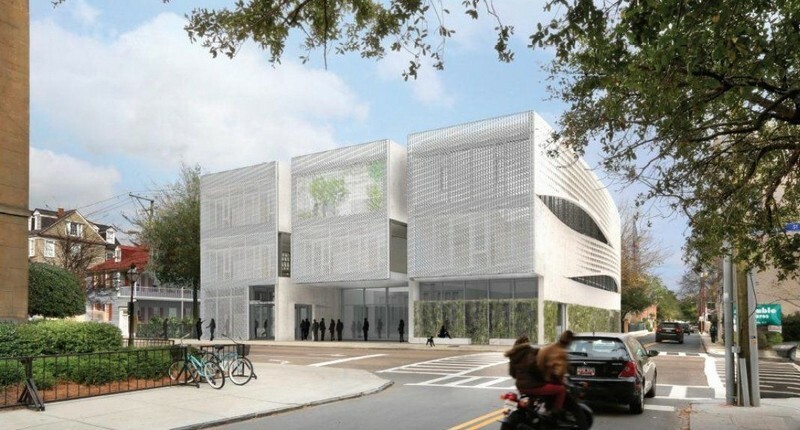 The School of Architecture building proposed by Clemson for Charleston’s historic district. I spent much of yesterday and today trying to get permission from an architect to run an image of his work. Easy-peasy, right? Well, today, having stretched my deadline, I got a “no” from Allied Works Architecture, of Portland, Ore., and New York City, whose principal, Brad Cloepfil, designed the proposed Clemson architecture school that was given approval last week by the Charleston Board of Architectural Review. The image, which I can’t print but you can see in the Charleston City Paper and elsewhere, including the Web, shows a rectangular building that looks like it is about to fall asleep. The screen covering its George Street facade reveals its drooping eyelids – a pitch, one must imagine, for exciting lectures from the professoriate due to be installed within – or perhaps these were eyebrow dormer allusions that give the building the right to claim it fits into a historic context. On Tuesday I called Stephanie Miller, who is in charge of press relations at AWA’s New York office. After explaining my desire for permission to use the image, I admitted that my column was not going to be an exercise in admiration, but urged that this should have no bearing on whether I should get permission to run the illustration, especially as it may be seen so many other places. Even before I informed her of my column’s thrust, she had said she believed Cloepfil was not sure he wanted to “release” the image. Maybe a good reason actually exists, though their evident reluctance to describe it cannot help but raise eyebrows. So that meant I’d be running a much nicer image, actually, of the counterproposal, one of two, by the Charleston firm of Bevan & Liberatos – Jenny Bevan and Christopher Liberatos – who had already given me permission to use it, just in case. It is reproduced below, but my editor had the idea (knock knock, anyone in there, David?) 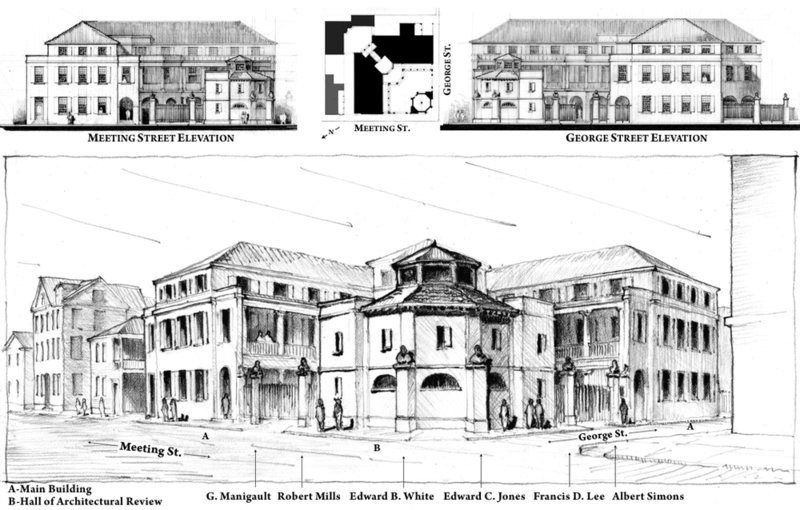 of looking on the website of the Charleston Board of Architectural Review, where it would be in the public domain. I could not find it but I found another image, apparently part of the same set of views, that is just as revealing. It is above and will be in tomorrow’s Journal, and atop its online version of the column, plus my own blog’s link to that online version, which will also have more of Jenny and Christopher’s counterproposals (there are two). Modern architects have such thin skins. Go figure. This entry was posted in Architecture, Architecture Education and tagged Brad Cloepfil, Charleston, Christopher Libertos, Clemson, Jenny Bevan. Bookmark the permalink. 2 Responses to What are you trying to hide? Clemson’s submission begins on page 20. Ms. Sams, many thanks for your expression of concern. I did happen, finally, to look into the BAR website and at the last moment found not the image I wanted but one that was just as good. Still, a newspaper cannot (or should not) re-use published matter without permission simply because it has already been used. Permission is still required except for material in the public domain which is why the image I used in the newspaper was used without the need for permission, whether from Clemson (a private institution, yes?) or from Allied Works.